The activity areas are as follows for all ages. Please note that all activities are offerred daily and included in your tuition fee. 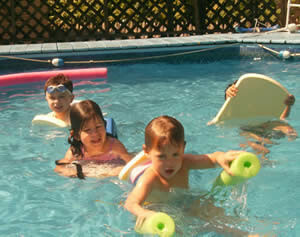 Pool / Swim Lessons Swim Lessons in our heated salt water pool by our certified swim instructors/lifeguards. 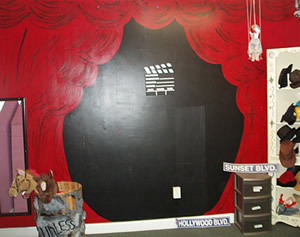 Drama Area Designed for puppetry plays and any “drama” related activities and games. * As play space: used as large dress-up pretend space. Child initiated shows and puppetry are encouraged. Library Area A quiet space to read, relax and play table games, or do homework. Gym Area Recreational games and sports activities. 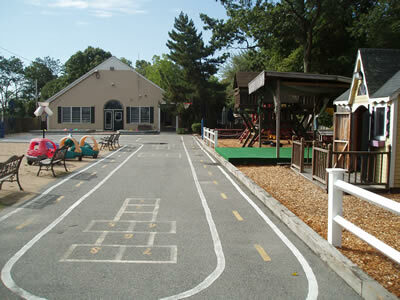 * As play space: large motor, skill playroom with hoops, jump rope, basketball. Art Area Arts and crafts activities & cartoon sketching. 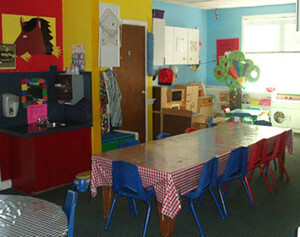 * As play space: a quiet area for coloring, drawing or playing games. Kitchen Area Cooking and sewing activities. * As play space: Table games. 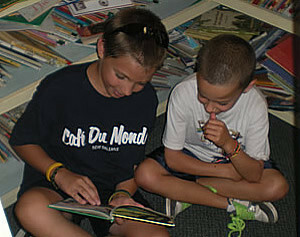 Homework Area Solely used for homework and quiet reading – teacher supervised. Homeword is also offered as an activity. If you would like your child assigned to homework for one activity, please sign up at the front desk. Music Room / Dance Gym Used for creative dance movement. * As play space: gym area can be used as a lively room with background music, building, and “toy” playing. Science / Creative Exploration An extra activity area for Creative Exploration and Science experiments.